Directory Systems Modular, expandable, interchangeable systems. 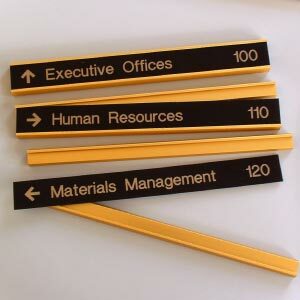 Signs available in a range of finishes to match your decor. 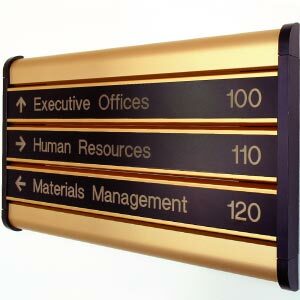 Modular systems are easy to expand and update. Navigational arrows direct clients to the appropriate place.